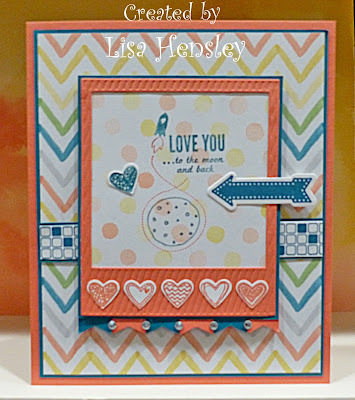 The Shabby Stamper: Love You to the Moon! Here are some of the things from the new Occasions mini! I tried to use only new product, so everything but the rhinestones on the baby pennants is new. All product is SU!, unless otherwise noted. This is just awesome! Love the fresh look of the colors and these stamps! Darling card!!! Love the color and layout...can't wait to get my preorder, it will be here Friday!